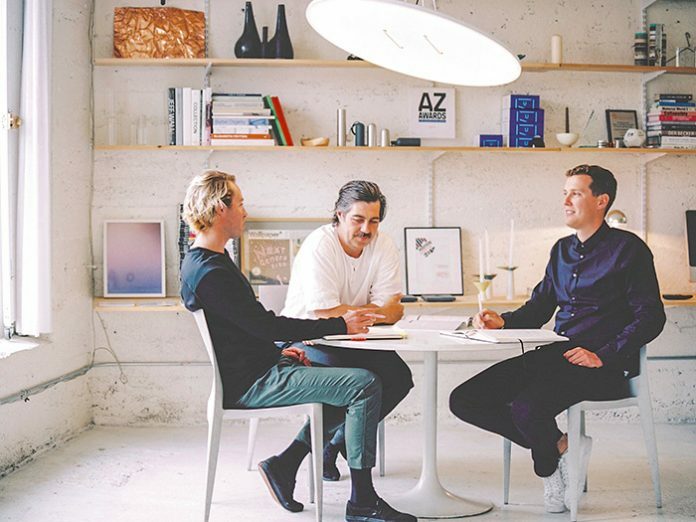 Vancouver-based design studio ANDlight has rapidly grown since its inception in 2013 – quickly making a name for itself as one of the hottest lighting studios in the industry right now. Established in 2013, ANDlight is a collaboration between Lukas Peet, Caine Heintzman and Matt Davis, a team that came together at the end of 2012. Peet brings to the team international recognition with an award for Canada’s Emerging Designer, and a degree from the Design Academy of Eindhoven. He has been practicing design for the last ten years and has developed an aesthetic maturity through his experience. International manufacturers such as Roll & Hill, Umbra Shift, and Karakter have produced his designs. Heintzman was trained in Industrial Design at ECUAD and Kunsthochschule Berlin Weissensee. He owns an expressive command for lighting’s technicalities and historic knowledge that aid’s the team in design. Davis brings to the table more than ten years of experience in the lighting industry and business management. Collectively, ANDlight is a manifestation of everyone’s passion for good lighting design and Davis’ entrepreneurial spirit and leadership in the business. After completing high school, he was accepted to the Design Academy Eindhoven in the Netherlands. “Living in Europe for four years as I attended school was almost like a second education for me, experiencing so many great European cities and countries,” he says. After graduating, Peet returned to Canada to work for an architecture firm, working on Nike campaigns and retail projects in its concept locations, New York, London and Tokyo. He then began working on his own studio, lukas / peet design. While working on new designs, commissions and public art installations, his Rudi light (named after his father) was recognised and picked up by Roll & Hill in New York. “Although I never worked on a light until after I graduated, I have found it to be an extremely interesting segment. I am fascinated by luminaires, as they are the only objects in our environments that can both alter and change the mood of a space but also change with the space throughout the day. They affect us and our surroundings more than furniture and beyond being functional they can alter the mood of our spaces. “ANDlight came about when the three of us (Matt, Caine and myself) met through the lighting industry. We all have backgrounds in this industry and all had degrees of success in design, business and production, specifically in regard to lighting. Heintzman’s childhood mirrored a lot of Peet’s having grown up in Western Canada – also in a small mountain resort town, creating a strong appreciation for the outdoors inside him. Also wanting to pursue a creative career but unsure on what direction to take, Heintzman delved into numerous artistic outlets to find his way, including painting, photography and sculpture while studying the fine arts at school. “I became interested in design because of the challenges and opportunities associated with it. I found emerging manufacturing techniques interesting but was also interested in finding ways to incorporate some of the creative processes and ideas I’d learned while studying art,” he explains. “Light itself is intangible, yet it affects how we are able to view and interact with the world. Its functionality gives us sight – essentially it creates space and adds emotive quality to architecture. The designs’ uniqueness and visual characters also lend themselves to accessibility for audiences to play with personality and playfulness in their chosen environments. Heintzman regards that when designing a fixture, it is important to imagine what the end use will be and find a good fit, whether it is imagined it will be used in an office space or over someone’s dining table, the needs will be different. While most of Andlight’s fixtures fall into the decorative lighting category, overall he fundamentally believes lighting’s primary function is to be bright enough to use in an array of scenarios. During the initial set up stages of the design firm, the trio worked to build the branding and image of ANDlight and refine their ideas about lighting, design and business. The following year brought major expansion for the company as they opened doors for business. Working alongside local Vancouver based retail partner Inform Interiors, the firm launched a successful brand in the November. International customers from North America, Australia and Europe appeared on their books, including Google, Shopify, MIT Boston, AAA, Kit & Ace and lululemon. Quick developments continued into 2015 when the design studio showed at Maison et Object Miami – the SLAB Light series was nominated for AZURE lighting design of the year and an office expansion to a larger floor plan was demanded as the firm grew. 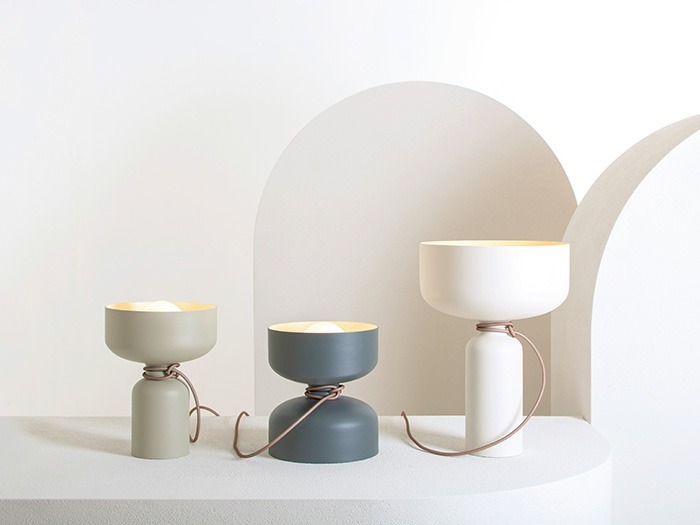 The designers gained further industry recognition when Peet gave a lecture at Maison et Object in Montreal, with ANDlight Toronto launching at the IDS design show at retailer Klaus, alongside Tom Dixon and Lee Broom. The year 2017 marked the launches of the Spotlight Volumes ceiling / wall / table series and the Pipeline table / floor products. Both of these series, plus the SLAB family received new finish options. The first public showing of the brand was at the ICFF show in New York City during May 2017. Last year saw the team working on a variation of new offerings in technologies and form factors as well as the launch of the Orbit and Vine series. “The studio doesn’t subscribe to a signature style, however the products that we release must satisfy the core beliefs of the brand, which are that the lights will be functional, reliable, approachable, unique, creative, refined and a little bit fun,” explained Heintzman. “ANDlight designs and manufactures functional, refined, unique and approachable luminaires with a solid business infrastructure behind it to confidently offer sales and design support at every level of the design process, whether you’re an architect, designer or electrician. 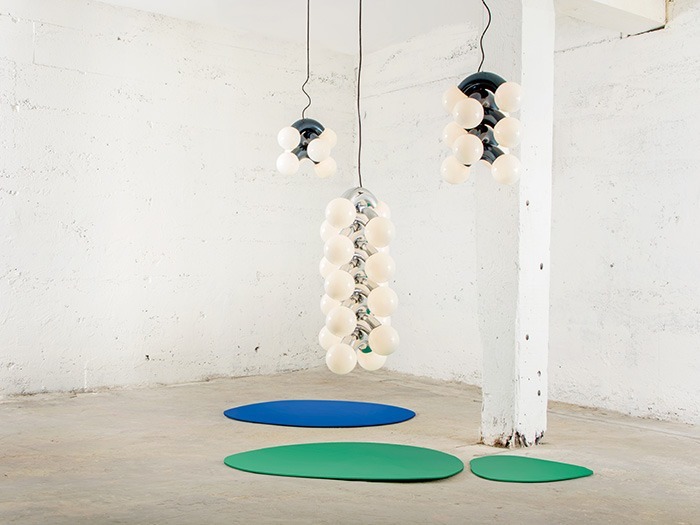 We love designing lighting and hopefully it is apparent in our products,” he adds. When discussing the current state of the design industry, we asked Peet and Heintzman about the issues they are facing. “Personally, the biggest challenges lie in finding balance in the schedule – being involved as an owner, being responsible for daily operations as well as finding time to design and develop products is difficult. However, I hope that I’ve improved myself as my experience grows,” he explains. aspects of the product are the most rewarding. When production, material choice, scale, function, quality, final price and shipping have all been considered and solved. “Due to the mass consumption of imagery in the last few years for better or worse, the biggest trends seem to be fast paced and wide spreading. To this extent I feel we are losing diversity within the industry and only the ones who shout the loudest are heard. Having said that, I also feel like the awareness of design has never been stronger. For Heintzman, in terms of technology and design, one of the best developments in the industry has been LED, as it has opened up numerous opportunities. It allows for greater energy efficiency, exploration of form, factor, use of new materials for lighting and provides interesting potential for powering. I think there is is still lots of room for creative innovation in the area, which can bring good to the world,” he reflects. Looking ahead, the new year brings the next chapter in the studio’s growth internationally as they work on product development for their inaugural launch at Euroluce, Salone del Mobile in April. “There is always great importance placed in functionality, but there is also a very important role in the emotive quality and personality these objects can have and bring to a space – loosely said, it’s important to consider a ‘lighter’ aspect while carrying out all the serious illuminating,” comments Heintzman. “A good design should address function and aesthetics with considerations in material, production techniques and scale,”concludes Peet.